IPad shows heavy signs of use including deep scratching and abrasions on the housing of the iPad, heavy dings on the corners as well as heavy scratches on the screen that will be visible when the iPad is turned on. Gently used iPad in like-new condition. (Fully Functional iPad 2nd Generation 16gb Wifi Only. 1) 100% Fully Functional iPad 2nd Generation 16gb wifi ONLY. Model:iPad 2nd Generation 16gb Wifi ONLY. 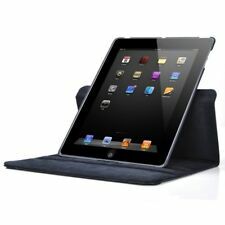 IPad 2nd Generation 16GB - Black. Pre-cleaned and polished with specialized cleanser and reset to factory settings. Display contains a white spot in the middle area of the screen, this is unnoticeable during normal use and does not affect the functionality of the device. WORKING CONDITION. Item ID: S56450. NO OTHER PARTS OR ACCESSORIES INCLUDED. The iPad 2nd Gen now has two cameras for FaceTime and HD video recording, a faster custom designed Dual Core A5 chip, and is lighter and thinner than its predecessor. Gen 2 iPad the future? Yes, yes it is the future.This tablet includes a 9.7-inch color display for ease of viewing, and its custom-designed Apple A5 dual-core processor allows you to multitask without lag. Compatible with standard 802.11a/b/g/n Wi-Fi connections, this iPad Gen 2 offers convenient Internet access while you're on the go. The device's 16 GB of storage provides you with room for to take your favorite media files anywhere.Thin and light enough to take anywhere.Comes in white or blackCertified PrelovedOperating system: Apple iOSDisplay: 9.7-inch colorProcessor: 1 GHz dual-core Apple A5 custom-designedMemory: 512 MB. APPLE IPAD 2 WIFI AND AT&T. 10-hour battery life. We only do RMA in USA. Imperfections on the screen will not restrict visibility when powered on. Tablets show signs of use with minor scratches or scuffs. Apple iPad 2nd Gen 16GB, A1395 Wi-Fi , 9.7in - Black MC769LL/A. Condition is used. In great working condition. Normal wear. A little scratch on the screen but not noticeable when on. All in all for being used and an older Ipad it works and look very good. It will come with a charger (not pictured). This is Apple iPad Air 2 16GB WiFi 9.7in Space Gray 2nd Generation Works Great! In Good Condition! Tablet is Fully Functional. This unit has been thoroughly inspected, repaired and tested by our in-house, factory-trained technicians. Trending at $168.74eBay determines this price through a machine learned model of the product's sale prices within the last 90 days. Trending at $79.95eBay determines this price through a machine learned model of the product's sale prices within the last 90 days. Used iPad 2 16Gb model WIFI only. iPad has alot of wear on the back. The iPad is fully functional with no i Cloud lock. Will ship fast after purchase. iPad 2 only. 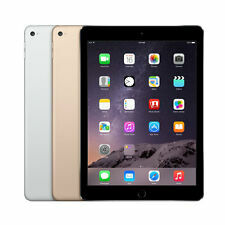 Apple Ipad Mini 2nd Generation 16 GB- Wifi And Verizon. Condition is Used. Sold as is. Shipped with USPS Priority Mail. iPad has all original parts and is in working condition. Screen is intact. A few scratches and a small dent (see picture) on the back and sides. Does not come with SD card, box, or chargers. 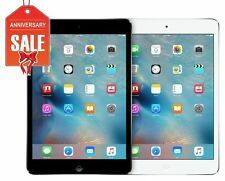 Apple iPad mini 2 2nd Gen. 16GB Wi-Fi 7.9in - White & Silver iOS. - iPad Mini 2 Silver. What's included. Apple iPad 2nd Generation 16GB Wi-Fi 9.7in Display. 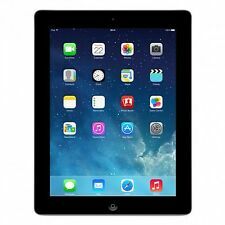 Apple iPad 2nd Generation 16GB, Wi-Fi 9.7in - Black. (See pictures of actual iPad). The iPad will look New, and contain signs of handling and/or wear. IPad shows normal signs of use including scratching on the housing of the iPad, dings on the corners as well as scratches on the screen that might be lightly visible when the iPad is turned on. You are the reason we are able to do what we do. Apple iPad 2nd Generation. What's included. Storage Capacity: 16GB. Condition Specifics: iPad has screen burn in. iPad only. 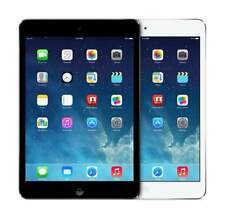 Model: Apple iPad mini 2. WHY BUY FROM Spartan Technologies?. This is what you will get from Spartan Technologies. We know that you have heard that one before. Trending at $110.99eBay determines this price through a machine learned model of the product's sale prices within the last 90 days. Wi-Fi (802.11 a/b/g/n) Bluetooth 2.1. Gently Used 2nd Generation iPad. iPad is in used cosmetic condition with normal to slightly heavier signs of cosmetic wear. The unit may contain some heavy scratches on the screen, and/or scuff marks/dings on the body of the device. The device does NOT have any cracks or chips in the glass itself. Device is in 100% working condition, fully functional. APPLE Limited warranty has expired. This listing includes the iPad, generic charger, and USB cable. Photos are for generic purposes only and are not the actual device you will receive.